It’s easy to get depressed about China’s apparent drift toward amorality: the kind of pervasive screw-your-neighbor approach to getting ahead (or even just getting by) that seems increasingly common on the mainland. The news is full of horrific stories about apathy and callousness, punctuated by occasional stories of altruism, self-sacrifice, and personal heroism. Both types of stories seem to touch off real soul-searching, with public intellectuals, political leaders, and everyday people in pained discussion of the problem’s roots and its possible remedies. 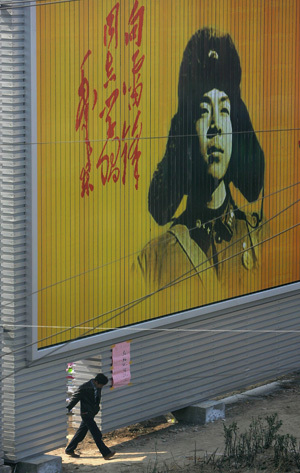 How can China reverse the decline in civic consciousness? Does the answer lie in Confucianism? Buddhism? Christianity? Secular public school education? Good Samaritan laws? Joining Sinica hosts Kaiser Kuo and Jeremy Goldkorn this week for a look at this crucial issue are special guests David Moser, Director of the CET immersion program in Beijing and longstanding China watcher, and Didi Kirsten Tatlow from The International Herald Tribune, who joins us again after blowing us away last week in her first appearance in the All-Sinica Federation of Women show. We lured Didi back to share even more insights on everything from holy fruit to schoolyard violence in China.